Hi all, my name’s Wasim and I'm one of the delivery managers in the Service Optimisation (SO) team. 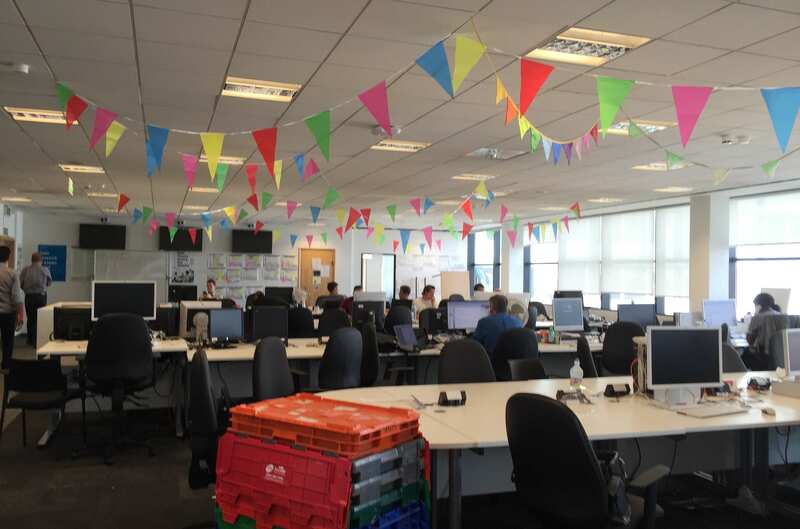 It’s been an interesting few months over here in our Metro Point office where the team’s based, with refurbishment going on, new teams moving in and the SO team transformation. The SO team is changing to meet demanding business needs. We're transforming into a continuous delivery team! No longer are we going to just support and optimise existing live services, but we’re also going to build brand new digital services. The main aim here is to show the team’s ability in delivering cost-effective services in shorter timescales, with a smaller budget. We hope to achieve this by using existing technologies, such as the emerging Home Office Forms (HOF) and Digital Service Platform (DSP), which can be tailored to new services. Both the HOF and the DSP have proven to be very effective and are currently used in live public services, including BRP enquiries, which recently passed its live assessment. The assessment was an important milestone, and gave us assurance that the technology meets digital service standards set by GDS. There are now two delivery teams in SO, headed-up by me and Paul Cooper. Each team will look after live services, as well as building new services. My team will initially be building the new firearms licensing services, while Paul’s team will be focusing on the UK visa and immigration complaints tool and the tool that enables landlords to check the immigration status of their tenants. Each team is made up from a combination of dedicated and shared experts. The developers will be dedicated to their teams but will be coordinated at the strategic level by one shared tech lead. To ensure we are always building to user needs, each team will have dedicated user researchers, but will share interaction and content designers. We’ve been operating in this way for a few months now, and so far everything’s been going well. Like all teams, we expect to face issues, but we're confident that by working closely within SO and with other teams, we can overcome these. We have fortnightly show and tells in Metro Point (details in the digital diary) so come along and see what we've built for our users! More Home Office Digital staff will be moving to the Metro Point office at the beginning of September, so if you get a chance, please come over and say hello. We'll even tell you where the best Croydon coffee is.